Fox is already rebooting the Predator franchise after its more-or-less failed 2010 movie Predators, but that's not the big news. The big news is that they've somehow given control of the franchise to Shane Black, the writer/director behind movies like Iron Man 3, Kiss Kiss Bang Bang, and Lethal Weapon. 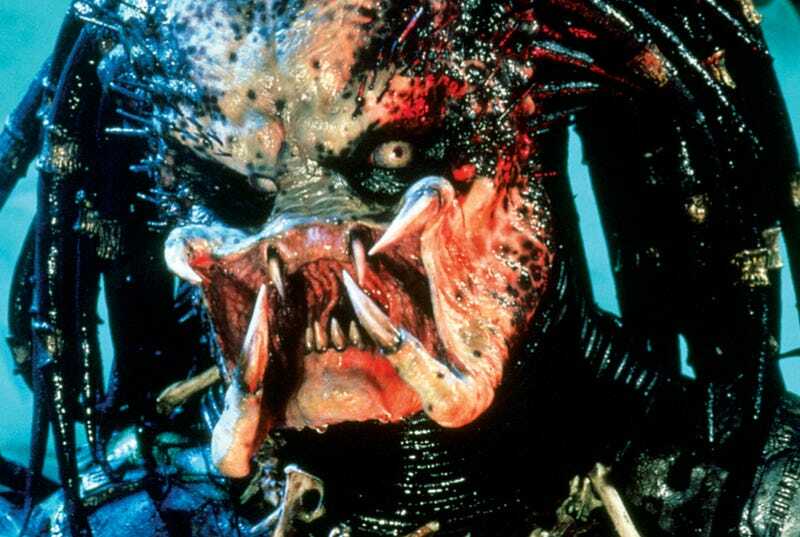 Since Black is known for his somewhat darkly comedic action movies, he seems like an odd choice to reboot Predator. But 1) he does make pretty darn enjoyable movies, 2) 9-to-10 Fox is going to make the new Predator movies PG-13 to maximize their potential audience, and thus Shane won't be tasked with replicating the original Predator movies' incredible violence, and 3) most importantly, Black actually starred in the first Predator movie, so maybe that gives him an extra edge or something? I don't know. Honestly, I'm a bit baffled at Fox's decision, but not perturbed. As long as somebody calls themselves a goddamned sexual tyrannosaurus, I'm in.